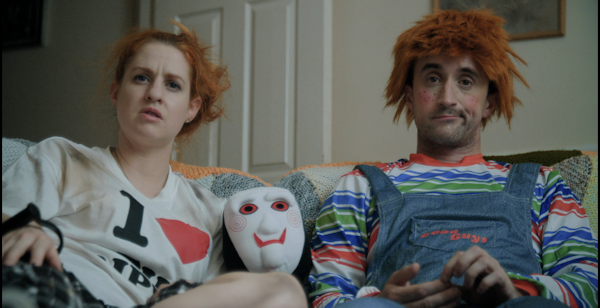 Hex Studios YouTube channel to premiere director Kate Shenton's latest darkly hilarious offering, this Saturday, 4th August. NETFL!X AND KILL tells the unlikely story of a psychopath and his victim... who spend all day sitting around watching television. Pitched as 'Gogglebox with a horror twist,' the web series is the first production under the Bubble Wrap Creations mantle, a partnership between Shenton and producer Baptiste Charles. The series reunites the award-winning director with Adam Rhys-Davies and Nic Lamont, stars of her hugely popular horror feature EGOMANIAC. The first two episodes of the 8-part series will drop on Hex Studios' YouTube channel on Saturday the 4th of August, with a new episode screening each week. With more than 200,000 subscribers, the Hex Studios YouTube channel is fast becoming the go-to channel for indie horror, from their viral Owlman prank videos to creepypasta tales, original web-series and even feature films. Tune in this Saturday (Aug 4th) to catch the first two episodes!